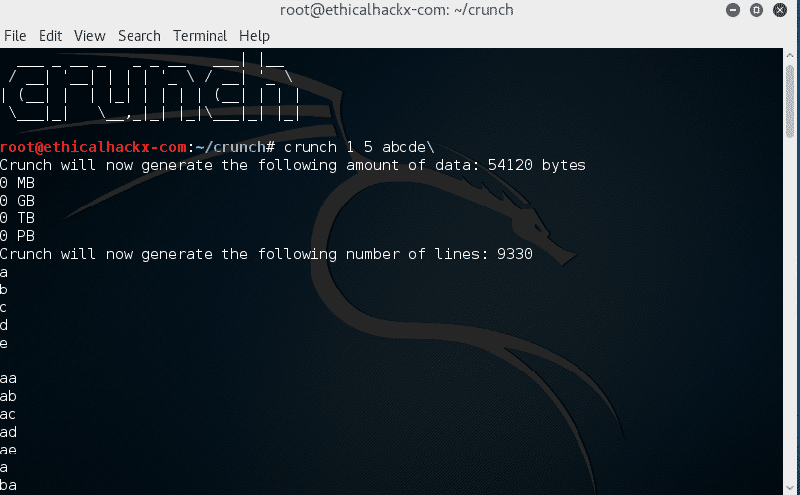 Crunch is a Linux Tool used to create wordlist that can be used for Password Escalation or Brute Force purposes. Crunch gives many options to customize the Word List you want. Word List can have different Combinations of Character Sets like alphabets both lowercase and uppercase, numbers 0-9, Symbols, Spaces. The output of the wordlist can be obtained as file or to another program. characters, numbers, and then symbols. If the sequence is not followed , the desired result in word list will not be the output. The space character can be included in wordlist, it should be included with escape sequence using \ character. or enclose character in quotes like “ethical “, notice the space after ethical. The length of words can also be specified both minimum word length and maximum word length. 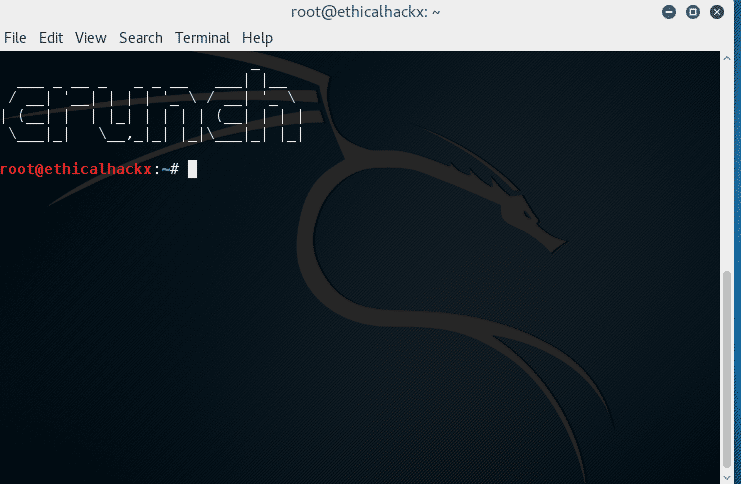 from crunch can be sent to the screen, file, or to another program. option is required even for parameters that won’t use the value. specify either values for the character type or a plus sign. examples 3, 11, 12, and 13 for examples. Crunch creates word-list based on different criteria specified. Output of Crunch can be stored in a File as word list, can be used directly by other programs or printed on screen. correct 500 mb is NOT correct. filename because the last character is a space. character set you want to limit i.e. @,%^ See examples 17-19.
the same length as the -t option. See example 15. -m Merged with -p. Please use -p instead. generate #of_chars_in_charset!. The ! stands for factorial. Tells crunch to read filename.txt and permute what is read. add -r to the end of the original command. %’s, and ^’s will change. gzip, bzip2, lzma, and 7z. slowest but has the best compression. charset.lst and will write the wordlist to a file named wordlist.txt. is useful if you have to stop generating a wordlist in the middle. 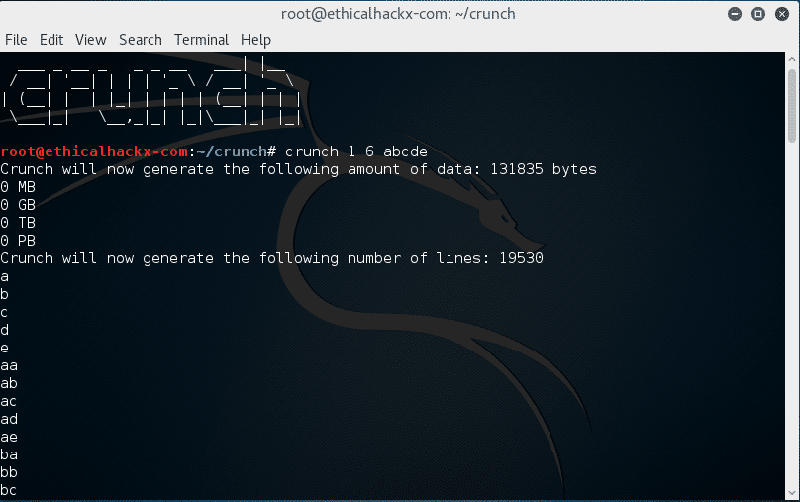 begin as crunch will overwrite the existing wordlist. The numbers aren’t processed but are needed. crunch will generate abc, acb, bac, bca, cab, cba. space at the end of the string. specify which character you want crunch to treat as a literal. replace the character with a uppercase letter. the files starting and ending strings. at zzy99. Notice that aaa and zzz are not present. ending at zzy 9998 The output will be written to 20mb files. character set file. The output will start at @日00 and end at @語99.